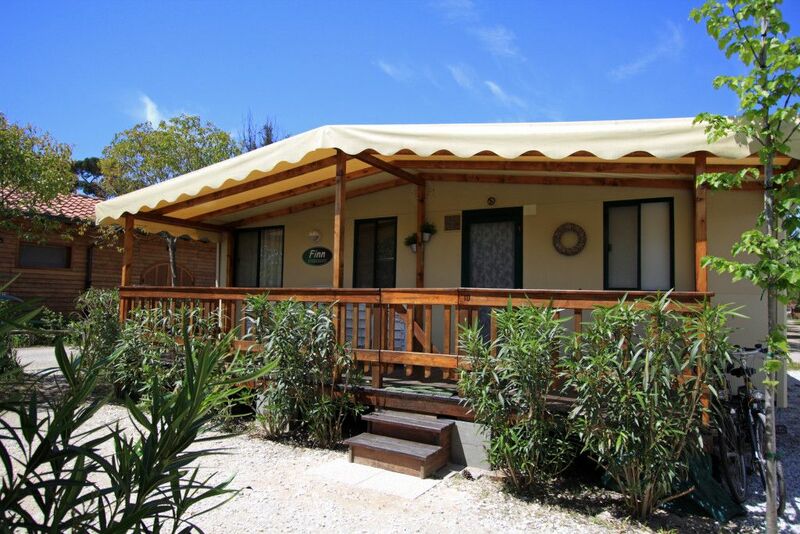 Luxury mobile home on camping on the Tuscan coast! Distance to airport 18 km. Camping Paradiso is a nice campsite to spend your holidays. The camp site has about 400 pitches and is located approx. 900 m from the (sandy) beach and about 2 km from Viaréggio. English, German and Dutch are spoken at reception. The campsite has a swimming pool, playground, soccer field, restaurant, supermarket, bar and a shop. For an additional fee you can use washing machines and clothes dryers. The camp site has a van to bring guests (free of charge) to the beach. You can rent bikes at the campsite and there is children's entertainment in high season. The information is available at the reception. Means the good life! So good food, beautiful things around you, surrounded by good people and comfortable in your own skin! Juliette can be very happy and happy here! In the beautiful Tuscany you can enjoy this fantastic holiday feeling! Bakery, Bar, Bus to beach, Camping shop, Bike rental, Reception, Restaurant, Playground, Washing machines, Swimming pool, Takeaway meals, Paddling pool, Football pitch, Shop with bathing caps, kitchen equipment, bbq's, postcards. The Mobile Home is fully equipped: A kitchen, sitting area, 2 bedrooms (5 beds) and a beautiful veranda where you can enjoy a glass of Italian wine until the late hours! The campsite is car-free, you can park your car several times a day, but then you park the car in the closed parking lot. A safe idea for children playing! Kilometers of beach near the campsite (20 min. Walk through a beautiful forest, 7 min. Bike or 5 min. By car), partially guarded and partly freely accessible. Near hills and mountains with picturesque towns. With beautiful views. The medieval paintings, sculptures and buildings: Go and see Lucca, Sienna, Florence, San Gimignano or Pisa! Information folder, Coffee maker, Fridge, Gas ring, Cookware, Cutlery, Lighter. There is an extensive inventory list in the mobile home. Air conditioning is present in all mobile homes. Order via rental contract (we offer for free). Download service at reception. Deposit.